Naniwa is known for making quality water stones. The Naniwa Traditional Water Stone is no exception. If you're looking for a quality water stone, the Naniwa Traditional offers a tremendous value in a full-sized stone. 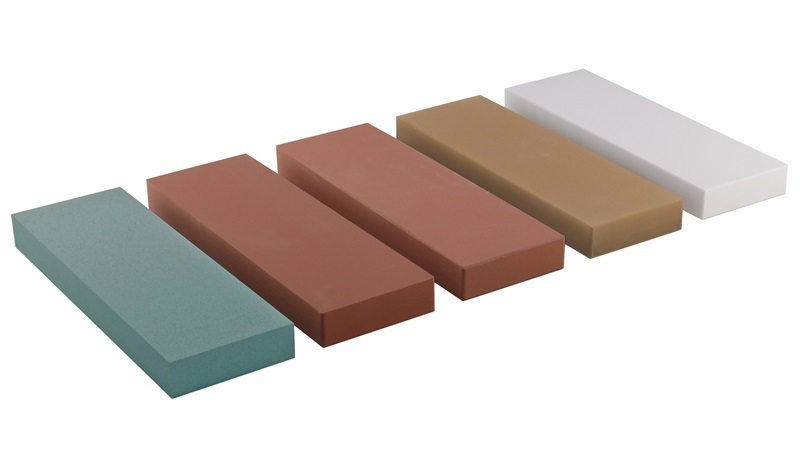 The Naniwa Traditional Water Stones are an excellent balance between price and features. You still get the quality and attention that Naniwa gives all their stones, but don't have to pay the higher price of their more expensive lines of stones. Unlike the Super Stones (now called Sharpening Stones) these have a traditional bonding that absorbs water. We recommend soaking before use. The coarser grits readily absorb water while the finer grits don't require as much soaking prior to use. 8000 Extremely Fine Grit - This 8000 grit stone is extremely fine. This is a wonderful final stage for most knives or tool edges. It differs in feel and cost from the rest of the line of Naniwa Traditional Water Stones. The pure white color also gives you the most visual feedback when sharpening. It technically does absorb water, but does not absorb water like the other stones in the line, this stone polishes well and is worthy of the difference in price. This stone replaces Naniwa's previous stone often called the Snow White.